Canadian DJ / Producer and Colorize mainstay Dezza continues to ignite the world of Prog having had his best year yet, capturing the ears of global dance editors and collecting millions of streams worldwide. This is all whilst embarking on his worldwide tour having kicked things off down under in Australia and playing A State Of Trance 900 in the Netherlands. Now Derek Silvester aka Dezza drops his debut nineteen track artist album entitled ‘Cosmos’. Consistently pushing boundaries in his music, Dezza delivers twelve brand new exclusives in this highly anticipated body of work. The Long Play includes recent success stories in ‘Cold Outside’ with Julian Gray, ‘Six Degrees’ with Rolo Green,‘Sweet Dreams’ with Matt Fax, and ‘Expanse‘ with Kolonie, amongst pivotal Dezza solo outings such as ‘Firefly‘, ‘Juniper‘ and ‘Todaso‘, as well as a host of brand lush new progressive and experimental interludes. 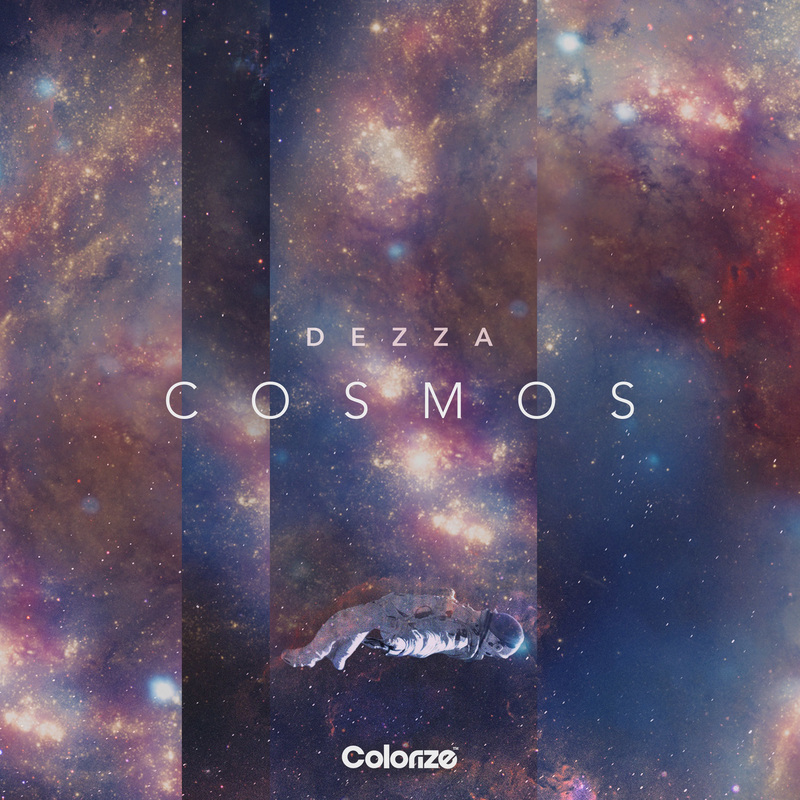 Dezza creates a tangible feeling of optimism through his lavish chord progressions and airy instrumentation, particularly in the title track ‘Cosmos‘ and in ‘One More Chance‘ which stand apart from the more House leaning ‘Home‘ and ‘Honey‘ encompassing the fun and playful side to the rising star’s character. Creations like ‘Northern Star’ and ‘Memories‘, both featuring talented musician Josh Kelly, adventurously explore elements of Electronica, and these two along with album opener ‘Apollo‘ and the euphoric ‘A Dog’s Dream’ all punctuate the album in excellent fashion, making this an ever so mature first album outing. Having already been described as ‘one of the finest sources of classic progressive you’ll find anywhere’ by DJ Mag, 2019 sees Dezza continue his international tour stopping off in Europe, The Americas and Japan, as well as releasing his debut album. With over six million streams on Spotify and support from Above & Beyond and Armin Van Buuren, Dezza is lighting up the Prog music world. Colorize is proud to present Dezza’s newest project; out there and beyond the stars is ‘Cosmos’.